Qtum (QTUM) has been making waves in the crypto space and the development team of the digital currency is expected to announce a new partnership in a few days from now. According to the community of Qtum (QTUM) and its development update in medium, the blockchain project recently partnered with Etherparty Smart Contracts Inc.
Etherparty Smart Contracts Inc. is based in Canada and it will integrate the platform of Qtum (QTUM) for both networks to benefit from the collaboration. Analysts within the two networks are positive that the established relationship will make token creation and crowdfunding easier for users. Also, the “Etherparty” smart contracts require little or no coding knowledge to operate. 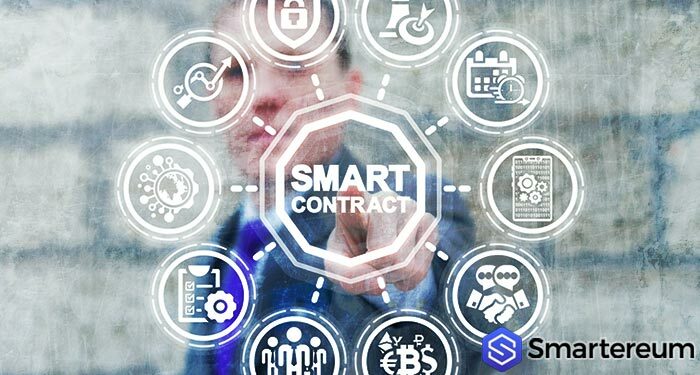 The founder of Etherparty – Lisa Cheng has applauded the move, adding that it is a great opportunity for both networks to work together to make it easy for people to access Smart Contracts. The presence of the firm in the tech sphere was recently felt when it launched its pioneer software feature. The launched product goes by the name “Rocket” and it is aimed at solving blockchain related issues. The value and availability of Qtum (QTUM) have increased significantly after its integration with Amazon Web Services (AWS). Users that want to utilize the blockchain platform of Qtum (QTUM) can do so through Amazon Web Services (AWS) without any stress. All a user has to do is to launch a pre-installed Qtum (QTUM) server or Qtum (QTUM) node. Once the pre-installed node is active, users can opt for the testnet or Mainnet of Qtum (QTUM). Qtum (QTUM) is presently trading at $4.32 after a decrease of less than one percent over the past twenty-four hours. The digital currency currently has a market cap of $383.46 million and a trading volume of $149.81 million over the past twenty-four hours.